For all organizations interested in purchasing a 121.5 radio direction finder, Walmart offers your organization the ability to apply for a Community Grant. Organizations must submit an online application to be considered for funding. The 2019 application grant cycle begins on Jan. 1, 2019 and ends on Dec. 31, 2019. For more details and information on how to apply for a community grant visit our Grant Page HERE. 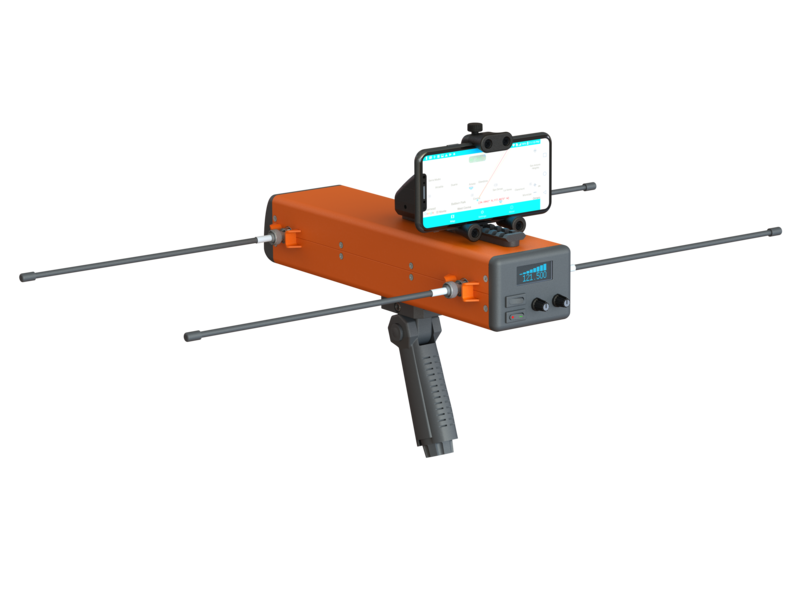 Polaris RDF technology combines the most advanced applications of GPS and signal processing to locate 121.5 MHz beacons. A single vector reading from 2 fixed locations is often all that is required to pinpoint an ELT or other signal within an accuracy of 5 degrees. This location can be sent via cell phone to the operational base and other Polaris 121 handhelds. Each vector to the smartphone equipped with the Polaris Software Application, conveniently mounted on the top of the Polaris 121 unit. In seconds, rescuers will be provided with sophisticated analysis, route, ETA to the target area and other valuable information. Polaris RDF’s advanced signal-smart technology will filter out ambient noise to more quickly identify an ELT signal and positively identify weak or partial signal reception. Polaris 121 was developed for first responders to locate a distress signal with pin point accuracy and speed unlike any other device. We all understand that every second is a heartbeat. Polaris 121 will enhance your arsenal for success against time every time! We are a radio direction finding manufacturing company with a professional and innovative approach to assist your department with its RDF needs. Please call 1-844-812-7393 to speak with an expert about any inquiry regarding our RDF products. If you’d like to learn more about the Polaris 121 download our brochure. Designed by Think BIG | Copyright 2019 TrueNorth Rescue Inc.